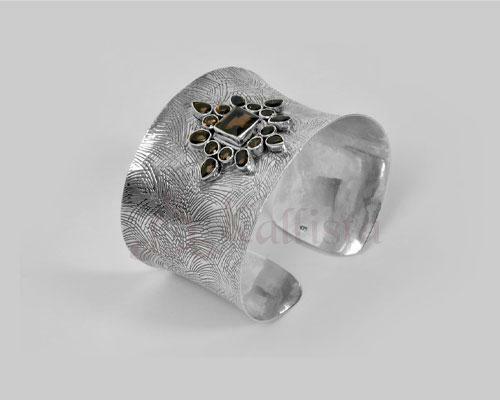 Sterling silver broad cuff with abstract texture. Comprises of Smoky quartz stones set beautifully to give it a royal touch. Adjustable.